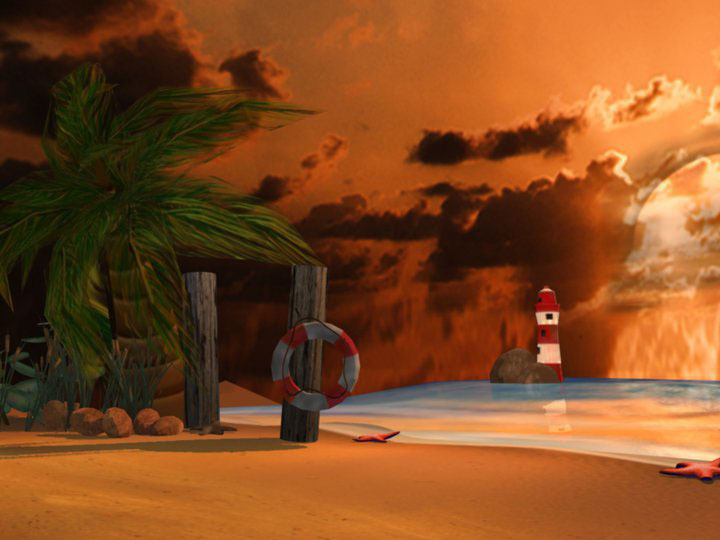 For my second round in Building Virtual Worlds my team and I were tasked to create an experience that told a story. 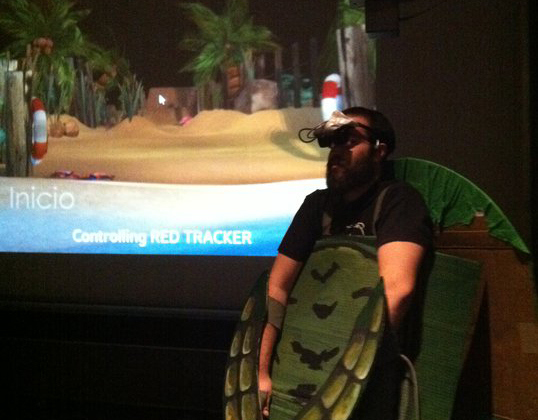 Using a Head Mounted Display (HMD) and tow trackers, we were able to recreate the a baby turtle's journey to the ocean. For this reason, our experience is titled Inicio, meaning 'beginning' in Spanish and Portuguese. This world was created in three weeks with a team of five students in which we had to brainstorm, storyboard and of course build. I created the soundscape, syncing music to the opening and ending move, as well as the ending credits using Reaper, Adobe Premiere, and After Effects. 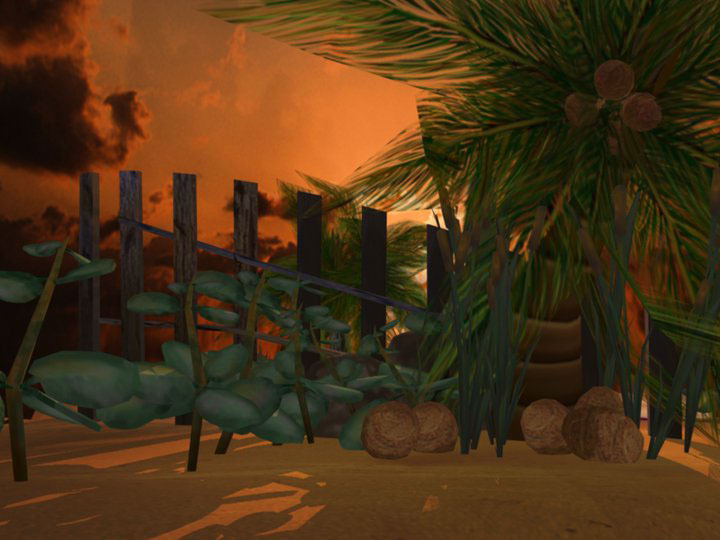 The landscape used in Inicio is full of life and warm colors creating an overall pleasant environment. 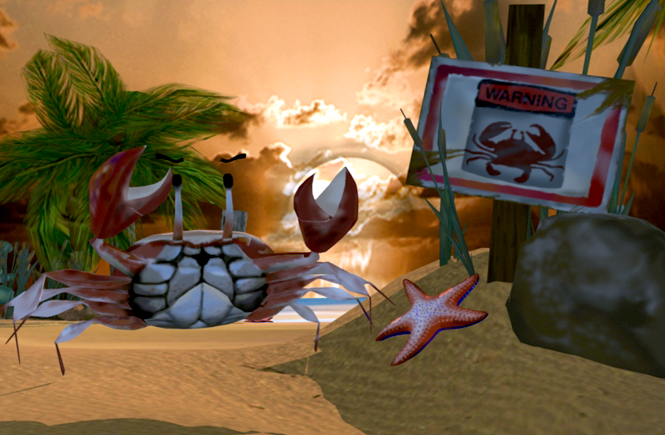 Although beautiful, the beach is home to many dangers depending on your perspective. 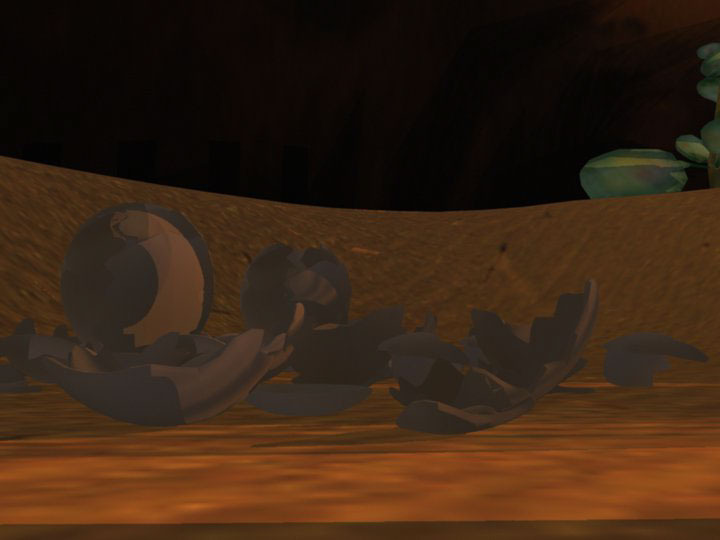 The main character for our story world was a cute baby turtle. Baby turtles face many hungry predators as they make their way to the ocean and this sand beach is full of them! Our experience started in a single turtle egg litterally representing birth or the 'beginning' giving rise to Inicio, the Spanish and Portuguese word for beginning. The guest had to navigate the terrain using a Head Mounted Display (HMD) and two hand trackers. 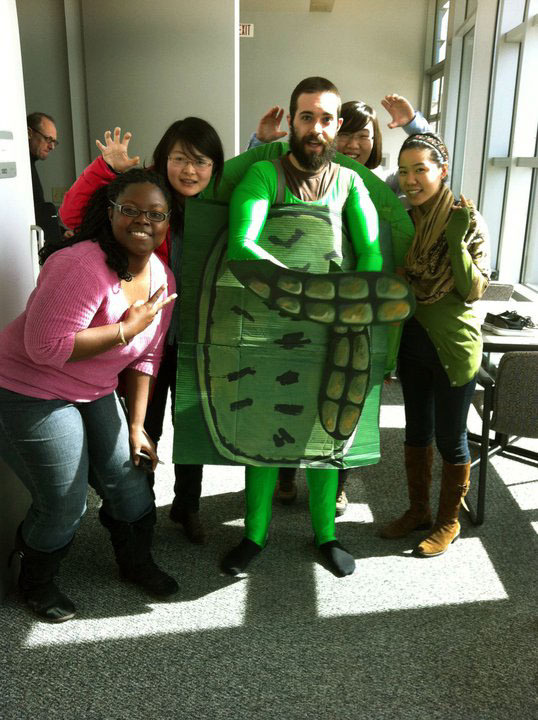 For our test we had our producer dress up as a baby turtle!